Pioneers in the industry, we offer conveyor roller idler set, overhead conveyor chain and sprockets, overhead conveyor chains, bottle conveyors, slat conveyor and table top conveyors from India. 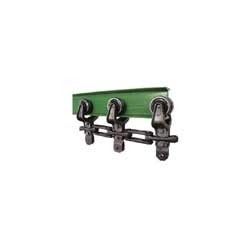 We have established ourselves as a renowned manufacturer and supplier of Conveyor Roller Idler Set. These products are manufactured under the guidance of our experienced professionals using high quality material. Our logistics personnel make sure that the consignments are timely delivered at customers’ destinations using easy shipment modes. Owing to our rich industry experience, we are manufacturing and supplying superior quality Overhead Conveyor Chain And Sprockets. 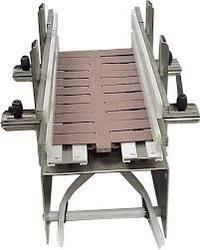 Offered range is used extensively for trolley conveyors, drag conveyors and flight conveyors. 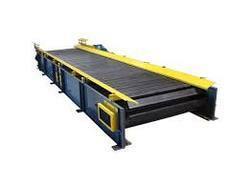 The range we offer comprises three components which can be assembled and disassembled by hand without the use of tools. 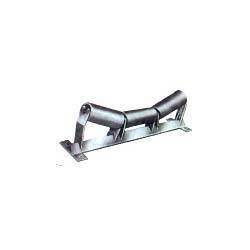 Our company specializes in manufacturing and supplying high quality Overhead Conveyor Chains. 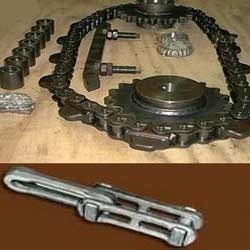 These chains are manufactured employing latest machines and advanced technology following standards & norms of the industry. Our logistics personnel make sure that the consignments are timely delivered at clients’ destinations. 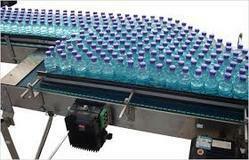 Looking for Conveying Products ?